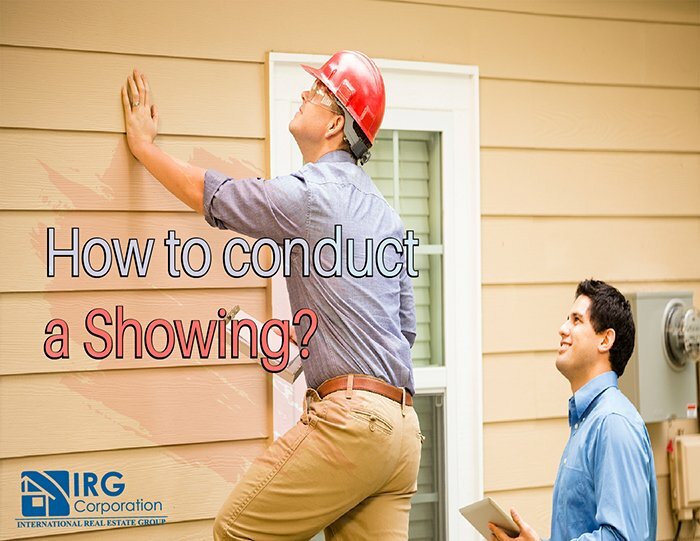 How to Conduct a Showing? Once it is decided that a house will be for sale or rent, you must choose between two primary options to take the next step: show your house on your own or hire a specialized person (either a real estate agent or a property manager) that will help you organize what will be the process of teaching the house and find potential buyers or tenants. The option of doing all this on your own could be counterproductive, since having to show your house and at the same time manage the flow of offers could become difficult if you do not have too much time or if you do not give it proper attention, so of the advice we give you to be able to correctly handle the sample of your home is that you decide to ask for help from a professional who is trained to manage everything. Hiring someone means adding an expense that you did not expect, but in turn gives you the security you need right now, because once you put everything in the hands of who knows how to do things, the result will be much more satisfactory. You must be able to increase the diffusion of your product to be able to market your property, giving you a range of possibilities when it comes to having your house in the market. Its management and good eye when it comes to selecting possible businesses is essential to decide whether to hire or not. Trained for the management of financial balances that ranges from keeping accounts or paying bills to managing everything related to the collection of rents or directing possible repairs that are necessary to improve the appearance of the property. Keep ordered all the paperwork that results from the different contracts that appear in these negotiations, thus avoiding any loss of money or escaping some detail and also establishing an order of priorities. Remember that you will be the administrator and who will give the face when it comes to possible problems, so you must take into account their capacity to respond and their sufficiency when interacting with the other part of the negotiation. Hiring a person may seem like a sacrifice of the possible profits that may be received and the one who sees it is not so outlandish, but, the important thing here is to get away from any inconvenience that may hinder the situation, so once you have found some Of these qualities among your possible options, the only thing left to do is to begin to devise a plan that brings all the possible benefits. Malcolm Forbes – Editor of the business magazine Forbes. Best Way to Invest on Real Estate!